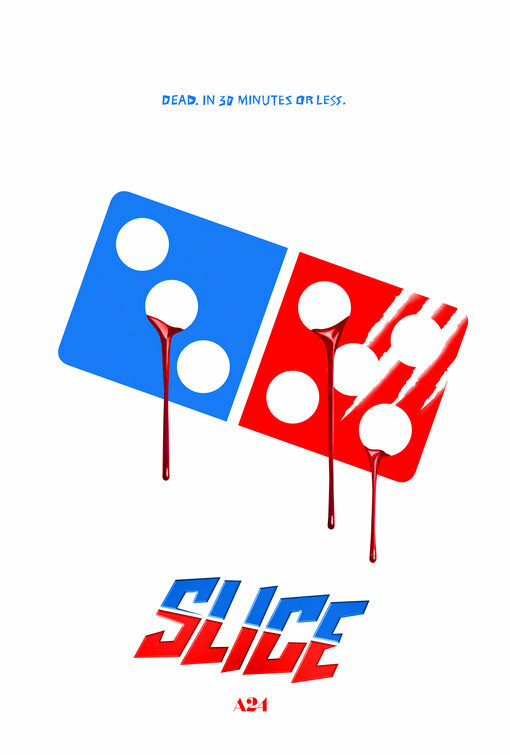 The minimal teaser posters for A24's 'pizza delivery boy slasher film,' Slice, get right to the meat and cheese of the matter. 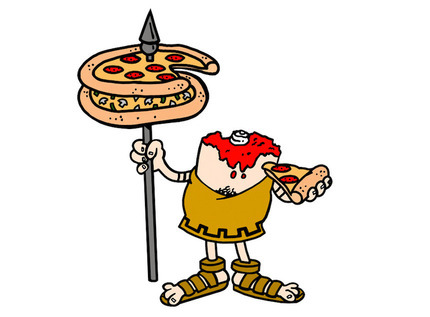 B O N D, one of my favourite key art design houses who did the tropical Star Wars: Rogue One campaign, the Dunkirk campaign and the lovely Mad Max: Fury Road designs, have made an easy but effective subversion of the Little Caesar's and Domino's Pizza branding, just sprucing them up with a bit of blood and gore. Most will remember the '30 Minutes Or It's Free!' days for Domino's Pizza back in the day, which becomes the tagline here. 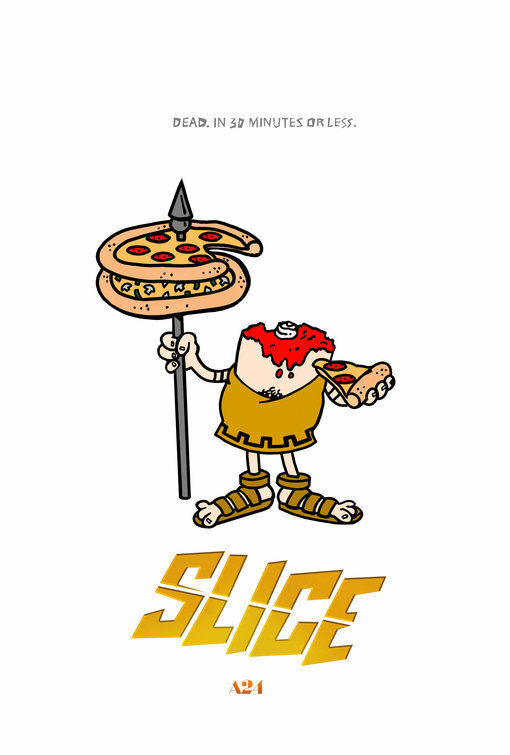 No credit block for these teasers, the tagline and the distributor is the only text on the poster aside from the title, although there is a bit of a missed opportunity to use the faux-Greco-Roman typesetting of the Little Caesars packaging for the title logo.